Wonder Woman is celebrating her 75th Anniversary this year, and with new comics, animated shorts, merchandise, and an upcoming live-action film she's never been more popular. 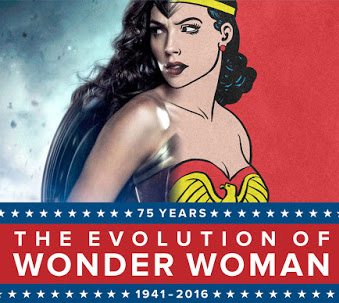 To celebrate, DC Comics has created this video chronicling 75 different Wonder Women from throughout Diana's comic book life. Diana Prince has gone through some interesting costume changes but has remained a symbol of feminine power, integrity, kindness, and class. Check out the video and see how many you remember and which ones you preferred. Leave a comment with your thoughts.